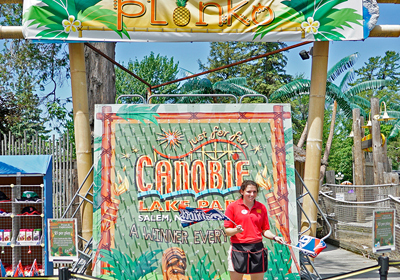 PLAY THESE EXCITING CANOBIE GAMES… FOR GREAT PRIZES! 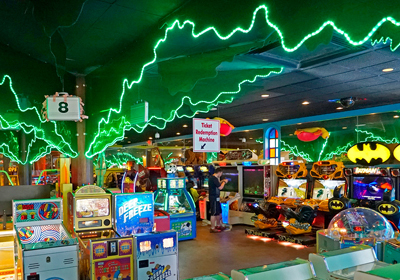 From midway classics to the latest arcade games! All new tech & tricks for 2018! 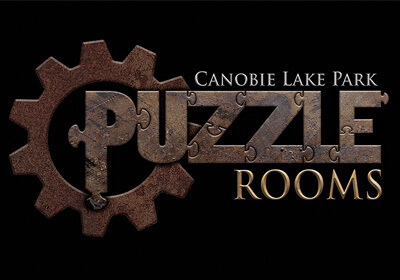 We have SERIOUSLY revamped our Puzzle Rooms for 2018 AND added a third room for non-stop puzzle action! Step into our brain busting puzzle rooms... you're going to need critical problem solving skills to blow your way out of THE MINE, to beat the WARDEN at a game of chess, or to call for help in APARTMENT 12b. You have only 6 minutes in the Mine & Wardens game and 20 minutes in APARTMENT 12b. Can you solve the puzzles? 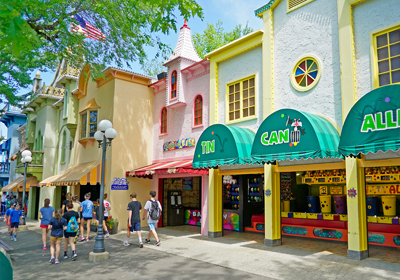 The Puzzle Rooms are located in the Wooden Nickel Arcade, next to the Mine of Lost Souls. 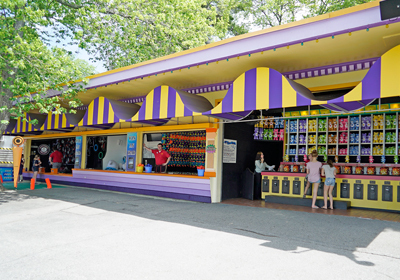 Lane after lane of fun, Game Room is located in the center of the Park behind the Xtreme Frisbee. Redeem your tickets for great prizes! Visit one of our newest gaming area, Pinball Parlor! 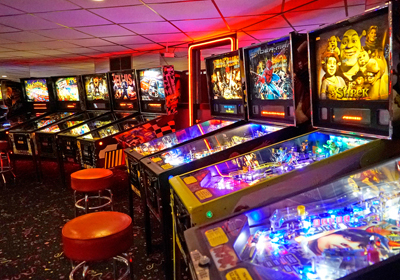 Play some of the newest and refurbished nostalgic pinball games all in one spot! 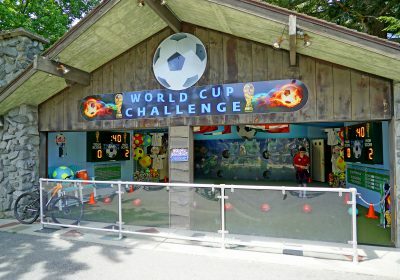 Test your soccer skills in our World Cup Challenge! Kick enough soccer balls in and you can win an Apple Watch! 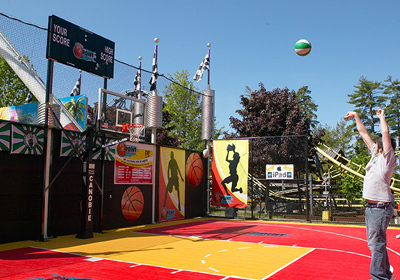 Test your skills at our 3-Point Challenge Game. Get as many shots in before the buzzer as you can and you may just walk away with an iPad! 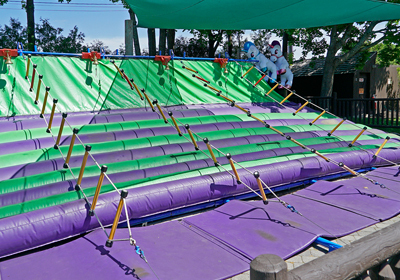 Toss your bean bag to knock down all of the blocks and you could walk away with a brand new iPad!! 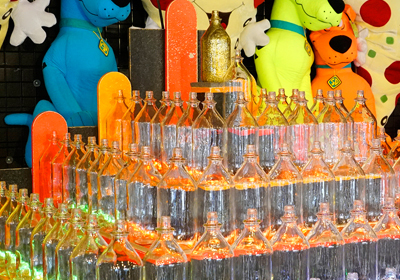 Get a ring on a bottle and win a huge prize! Get a ring on the GOLD bottle, and win a TV! 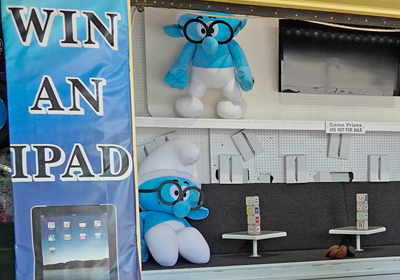 Win a Giant Stuffed Animal! Test your balance in making it to the top of the ladder. Ring the bell and get a HUGE PRIZE! Grab some safety goggles and test your aim by firing dozens of live paintball rounds at our target-filled shooting gallery! 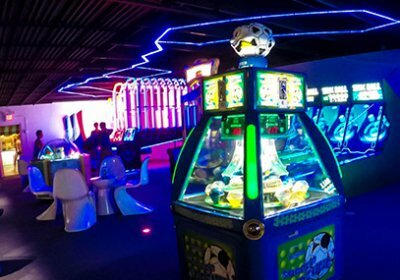 Enjoy dozens of arcade games where you can redeem tickets for great prizes! Redemption is available at Game Room and the Boathouse Casino. 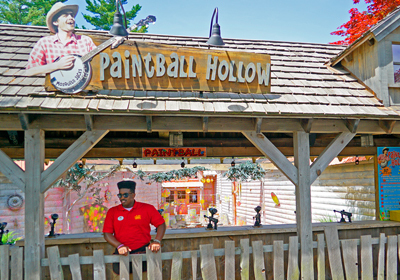 Enjoy: Short Shot, Top Aim, Duck Pond, Balloon Bust, and Can Alley for some great prizes! Enjoy: Fool the Guesser, Quarterback Challenge, Blockbuster, Chukkaball, and Water Gun for some great prizes! Headphones, hats, assorted electronics, free games, free photos, line-cuts, experiences and more are just some of the rotating prizes available at Plinko! Throw at least 3 strikes... and you WIN! 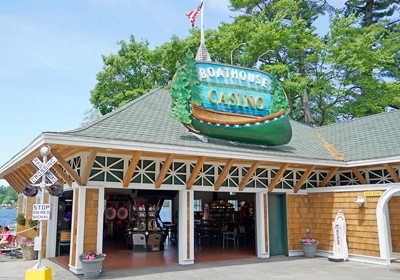 Take in the beautiful view of Canobie Lake while enjoying ticket-based versions of Vegas-style slot machines. Win big and redeem your tickets for great prizes!